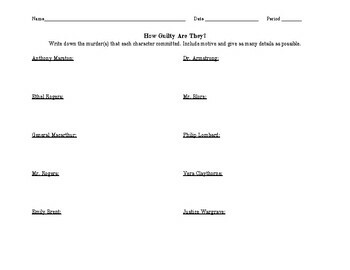 Students LOVE to debate who is the most guilty after reading And Then There Were None. This graphic organizer helps them prepare to debate each other over the answer to that questions. 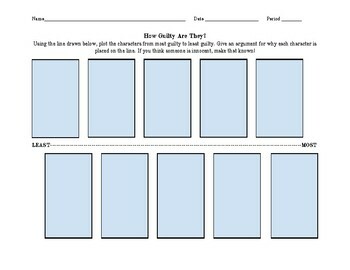 Students take a day to fill out this organizer, and the second day, we sit in a circle and argue over the order of guilt for each characters. It requires them to think deeply about the text but also their own morals and values. We love debate day!